This Game Changed The World, And Now It’s Back! I remember the day this game came out. It was in the fall of 1997, and I was still in high school. I remember seeing the relatively unimpressive ads. The game was pushed as a major title for the holiday season, but it wasn’t like it was a new Super Mario Brothers or anything like that. I bought it thinking it might be fun to play for a little while. I think I speak for everyone when I say nobody could have expected Goldeneye would become such an instant classic. Before Goldeneye was released, I had decent grades. Within a matter of weeks, I was spending four to five hours straight playing “The Man With The Golden Gun” against my brother and his friends in The Facility. We simply couldn’t get enough of Goldeneye’s incredibly fun multiplayer mode. What if I told you Goldeneye is coming back for the Wii? No, I’m not talking about Perfect Dark, Tomorrow Never Dies, or any of the other failed successors to the crown. I’m talking about the classic we all remember like it was an irreplaceable part of being a kid. I’m talking about the game that changed everything! 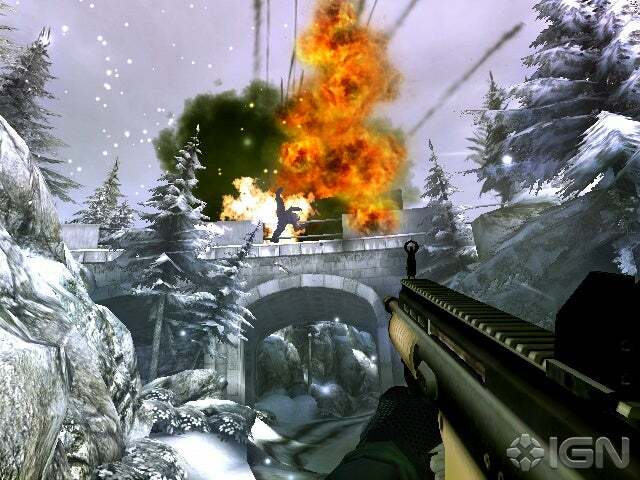 Wii Goldeneye is a modern remake of the game we all remember. It follows along a similar story line, incorporates many of the same multiplayer gameplay elements, and it even features the same characters. Get ready to pick up your PP9 and stealthily sneak past guards while intercepting messages from Mi6. Bond is back, and he’s better than ever. It goes without saying that after 13 years, the new Goldeneye will have significantly better graphics and a much more realistic feel. But here’s what you probably didn’t expect. James Bond is now played by Daniel Craig, and many of the levels in the game are completely different from the original N64 title. From what we have seen of the new Goldeneye demos, the game is only loosely based on the N64 title. The first level is similar to the runway level from the first game, but only in terms of overall style. As you play through it, you realize pretty quickly that players will be in for a whole new experience. The old Goldeneye was one of the first shooters to allow you to sneak past guards. 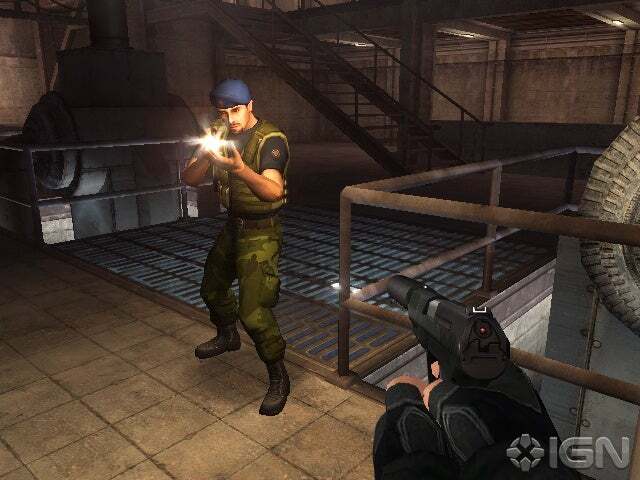 The new Wii Goldeneye incorporates stealth, but in a whole new way. The guards are on a much more heightened alert than they were in the N64 title. Just one misfired shot, and the game switches from stealth mode to combat mode. Bond’s health bars are replaced with a screen that gets bloodier as you take more damage. As soon as you kill everyone in the room before they can muster a distress call, you go back to stealth mode. The game progresses in this way, keeping you alert and always looking for ways to stay undercover. It is entirely possible to play through all of the levels without alerting the guards. Just like the classic Goldeneye, players will enjoy turning the missions into puzzles and getting through them without taking a single hit. Would You Pay $70 For A Controller? We were stoked when we found out you can use a variety of controllers with the new Goldeneye for Wii. Not only can you use a Wiimote and nunchuck, you can play this game with the Wii classic controller and Wii classic pro controllers. This is going to be hit with players who want a more N64-based gameplay style. You can almost smell the nostalgia in the air. There are also rumors of a Klobb-like attachment for the nunchuk as well as a gold-plated Wii classic pro controller, both available for pre-order on Gamestop’s website. Guess what the list price is… $70! Certainly we are all for cool, themed Wii accessories, but wow. Maybe they’re assuming the Goldeneye generation has grown up and gotten real jobs (along with a taste for expensive controllers). That, or the controller comes with the game. We don’t know for sure yet, but we certainly hope it’s the latter because that’s a huge amount of money to pay for a simple peripheral. Everyone remembers the glory that was Goldeneye’s multiplayer mode. It was so addictive that you could spend days upon days playing the game with your friends, annoying them with proximity mines and sneaky tactics. While the multiplayer mode for the new Goldeneye will never replicate the feeling of toasting Natalya with a rocket launcher, it will do more than enough to keep players coming back for more. From what we’ve seen, Activision and Eurocom are fully intent on bringing back the experience of fighting in close quarters with your friends. The multiplayer mode felt very similar to the classic Goldeneye. The levels were simple and memorable, one element that made Goldeneye for N64 such a standout. When your friend who just began playing the game can actually remember where he is on any level, he instantly starts coming up with strategies that are just as clever as yours. Many of the old Goldeneye’s characters are back in multiplayer mode. You can play as Oddjob, Jaws, Scaramonga, and many other memorable names. While there is no official word on which weapons or modes will be available in multiplayer, the demo looks pretty promising. Goldeneye for Nintendo 64 changed the way we approach the first person shooter genre. The new Goldeneye might not be as revolutionary, but it’s certainly going to be a great shooter title for the Wii when it arrives this holiday season. Get ready to invite some friends over for hours of split screen mayhem. Save a few couch seats, because it’s going to be a long night!